My Creative Time: MCT "Made in Minutes"
GOOD MORNING my sweet friends & welcome to another "Made in Minutes". Good Morning Miss Emma!! OMG What a Gorgeous card!! 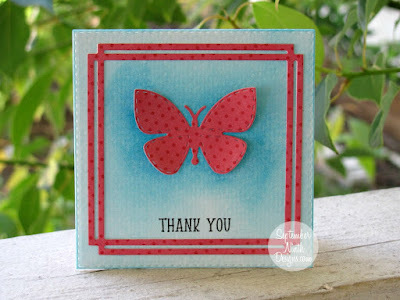 Love the colors and the brilliant and ingenious ways you used your fab goodies. 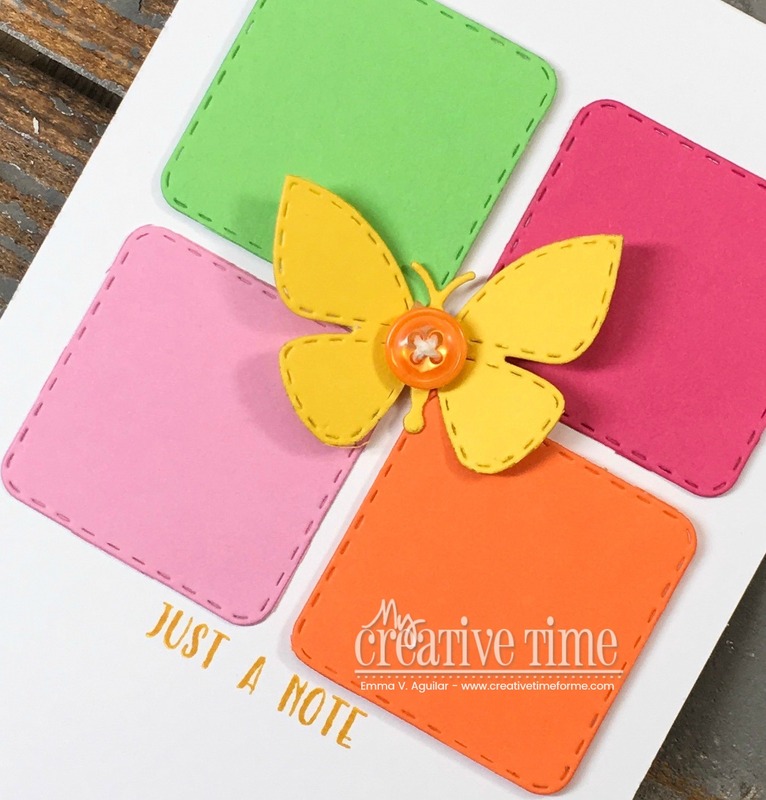 Your little Miss Butterfly is so adorable and your button idea sure makes for a cutie embellishment idea. You definitely came up with brilliant and ingenious ideas which make for a Spectacular card!! Hey Hiccups happen and it'll all get straightened out!! At least you noticed before you mailed them out!! Great Proofreading my sweet friend. Here's to a Magnificent Monday!!! 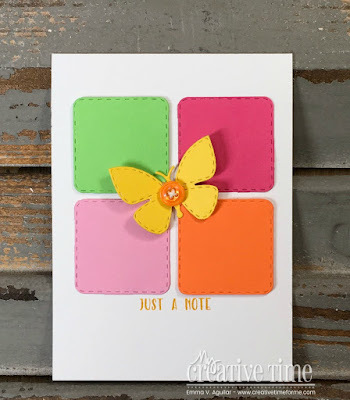 Cute, colorful card!! Love the butterfly! I love your bright, spring card! So adorable!!! Love these cards. Emma, love the colors you used, so bright and cheery. 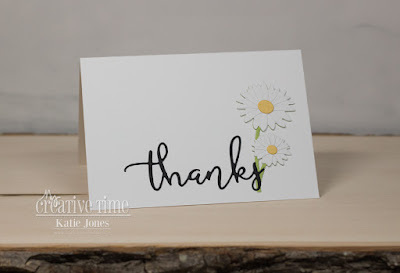 I love your simple pretty colors...beautiful card. The team also had some fast fun inspiration. Super cute card Emma! I was holding my breath while you were stamping! LOL. Have a wonderful day! I totally agree on how long it can take to make a card Emma! Even my simple cards can take longer than they should! My problem is I change my mind or another idea strikes while making the card! I just can't help it! LOL I think your card is wonderful and I like the Spring colors! The team made some wonderful projects as well! Awesome card! Love the spring like colors!